Over the past several years I’ve developed a tendency toward over-organization (and have even tip-toed into the territory of pleasantly neurotic). When I can’t sleep (a problem Rip Van Winkle never had), I relax by unfolding stacks of t-shirts just so I can refold them. I make to-do lists that include “make to-do list” as the first item. And this afternoon, in a surge of Christmas cheer, I divided a container of multi-colored sprinkles one by one to extract the reds and greens. And though that is definitely forty minutes of my life I’ll never get back, the result was a perfect addition to this Christmassy dessert! Cream butter and sugar in standing mixer until light and fluffy. Gradually add in molasses, egg, applesauce, Cognac, vanilla extract. Sift flour, baking soda, cinnamon, ginger, cloves, salt into the standing mixture. Finish by gradually adding hot water and mixing on low speed until smooth. Bake in lined muffin tin 350 degree oven for about 25-30 minutes OR in a cake pan for a bit longer (until toothpick comes out clean). Beat butter, cream cheese, Cognac, and salt until smooth. Gradually add in powdered sugar and beat until smooth and thick. 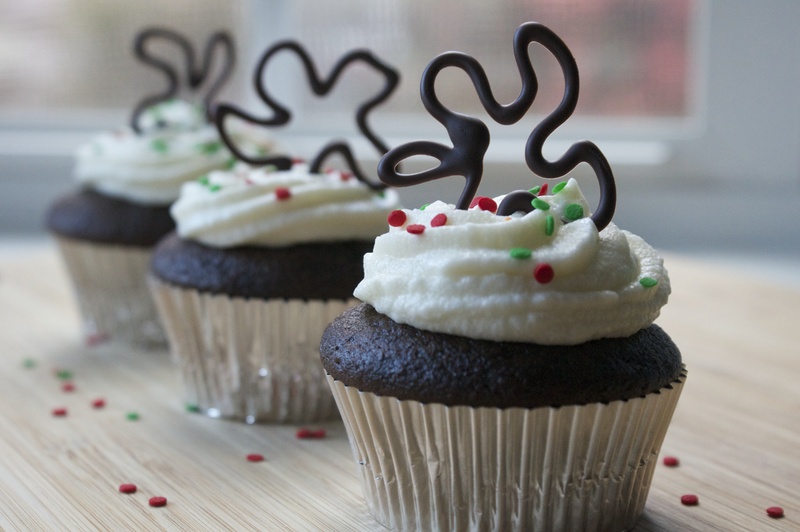 Pipe onto cooled terrines or cupcakes and garnish with Christmas sprinkles! 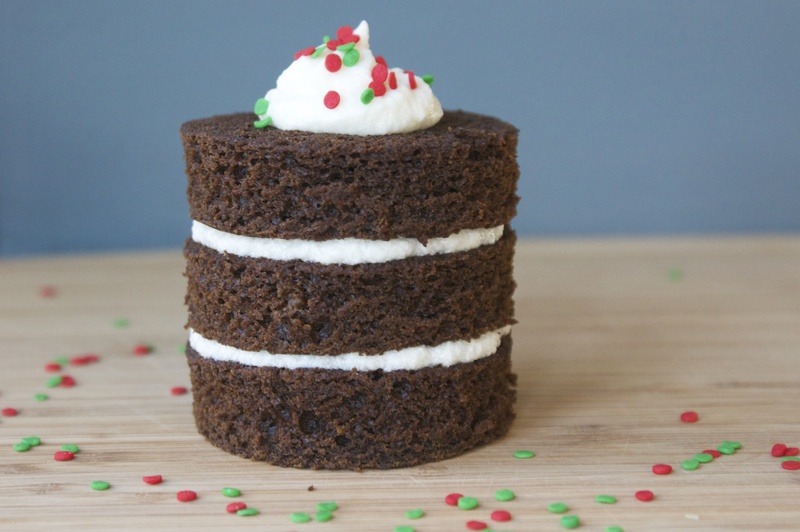 Enjoy gingerbread terrines and Cognac cream cheese icing with Washinton Irving’s Rip Van Winkle, and check in at http://warandpeach.com for future recipes and book reviews!